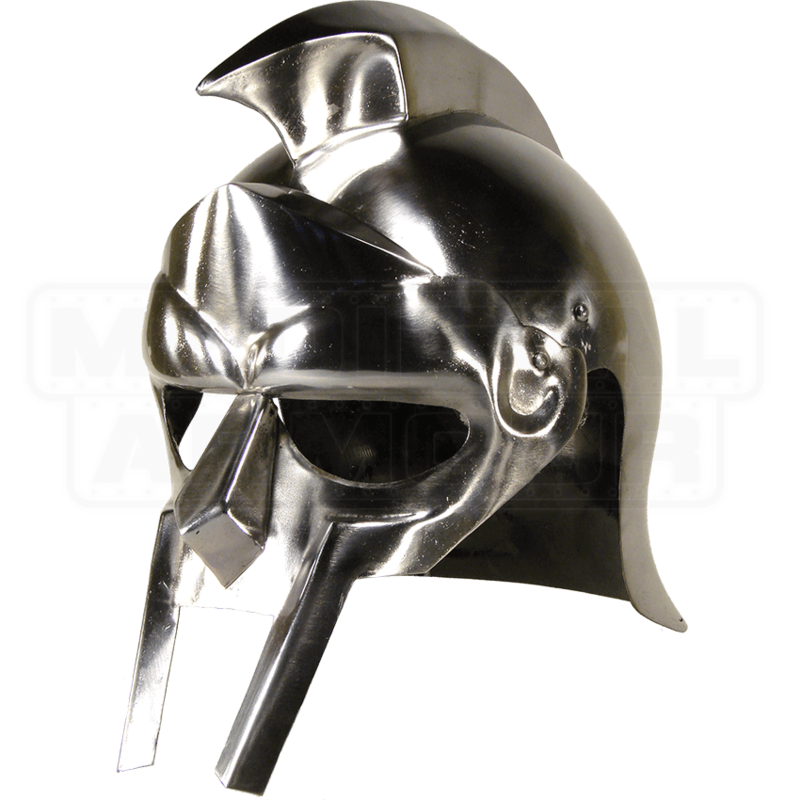 Fit for any Roman slave to wear when fighting for his life, the Gladiator Helmet will not disappoint. You can embrace the life of a warrior with this traditional helm, which serves as an intimidating and solid piece of armor. This item is crafted from quality 18 gauge steel into a traditional battle design. The visor has large eyeholes and a mouth opening, while maintaining protection for the rest of the face. This piece has a unique crest that runs from the forehead to the base of the skull, creating a distinctive look for fans to watch for during an arena battle. A padded inlay and leather straps improve the comfort and fit when wearing the helmet. The aggressive features of the Gladiator Helmet allow you to intimidate your enemies and earn your freedom.